In 1911 Sevierville was a sleepy little farming community. The town was surrounded by the Great Smoky Mountains. In this setting K. Rawlings, Sr. saw a need for a funeral establishment and opened for business using the top floor of his furniture store to show caskets. The first reported funeral conducted by the K. Rawlings Funeral Home was for C. M. McMahan who died October 11, 1911. There were two other funeral homes in the community at this time. Even with these other established funeral homes, K. Rawlings, Sr. recognized the need for a business and offered personalized and compassionate service to the families that they served. The first location was on Main Street and was called K. Rawlings Furniture and Undertaking. The furniture store was established in 1902 with a hundred dollars of merchandise. Out of this humble beginning, a legacy of compassion and caring became synonymous with the name K. Rawlings Funeral Home. Other members of K. Rawling's family who went into partnership with him were his father, Milton Rush Rawlings, and a brother Edgar L. Rawlings. M. R. Rawlings retired in 1928 and died on July 16, 1937. Edgar tended the horses that were used to pull the hearses until the first motorized hearse was purchased in the early 1920's. Edgar withdrew his partnership in the business in 1923 to pursue other interests. Fred Rawlings, brother of K. Rawlings, Sr. became a partner in the business in either 1919 or 1920 following WWI. In 1929, the first licensed embalmer in Sevier County; W. R. Miller came to work full time for the funeral home. As the business flourished there became a need for more dedicated people to provide the service that the funeral home had become known. 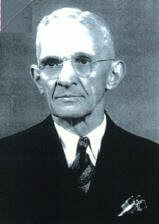 In 1929, another brother Lynn Rawlings, became a partner. The year 1931 brought another change to the business. The brothers started an ambulance service serving all of Sevier County. During this era, most funeral homes operated an ambulance service. The service operated until 1972 when the county took control of the ambulance business. In 1935, the brothers bought the Davis Hotel. The hotel was built in the 1920's with 22 rooms and four bathrooms. During 1935 and 1936 the building was renovated to accommodate the funeral home. With a growing business and the name recognition of K. Rawlings Funeral Home in Sevier County, the family decided it was time to start another funeral home. In either 1939 or 1940, K. Rawlings and family joined into another funeral home with W. R. Miller opening another business in Maryville. Both funeral homes went under the name of Rawlings and Miller Funeral Home. In 1951, shortly after WW2, K. Rawlings, Jr. entered into the business. He was a graduate of a Nashville School of Embalming. K. Rawlings, Jr. served in the Navy during WWII. In 1952, Lynn P. Rawlings, Jr. joined the partnership. Lynn served in the Air Corps during WWII. In the early 1950's, as both funeral homes flourished, the partners recognized that the business was growing so rapidly changes needed to be made. It was agreed that the funeral homes would each become a stand-alone business. K. Rawlings and family kept the Sevierville funeral home and W. R. Miller took the Maryville funeral home. In 1955, the business bought an adjoining lot that had a garage on it. After tearing down the garage, a new chapel was built. No expenses were spared in the building of the chapel. Beautiful wood paneling was installed on the upper part of the walls and was accented with knotty pine on the lower part. Stained glass windows were installed. Church type pews were used instead of the traditional folding chairs, giving the chapel a church like appearance. K. Rawlings, Sr. remained active in the business until his death on May 8, 1966 at the age of 86. Mr. Rawlings had been very active in community service. He had served four years as chairman of the Board of Education and was a member of the Board of Alderman of Sevierville. In 1976, Mark and Mike Rawlings, the sons of L. P. Rawlings, Jr. joined the firm. Fred, L. P., Jr., Kenny, Mark and Mike Rawlings all remained active in the family business until 1986 when the business was sold to Jeff Gamble of Winchester, Tennessee. Chester Bridges was manager until Jeff sold the business to the Loewen Group in 1991. During this time a local person, Jack Parton was hired to assist in the business. Following the acquisition of the business, the Loewen Group brought in Gary Hicks as general manager. At this time remodeling was done with new carpet and painting of the chapel ceiling. The exterior, which was red brick, was painted gray. An open house was held to show the community the new look of the funeral home. The theme of the open house was "A New Look for an Old Friend". Gary Hicks remained as manager, with Jack Parton assisting him until 1997. In 1992 or 1993, Georgia Parton, wife of Jack Parton, joined the staff as secretary. Kenny Rawlings, Jr. remained active in the business until his death in December of 2005. Kenny helped tremendously in the business with his expertise and knowledge of the business and community. In December of 1997, Gary left to pursue other interests. In 2008 Gary came back as Manager of Rawlings Funeral Home. Gary, Jack and Georgia Parton, the staff of Rawlings Funeral Home, are still dedicated to serving the families with the same kind of care and compassion they always have. With the dedication of the staff and the continual support of the community, Rawlings Funeral Home should be prepared to enter the 21st century. The funeral service business is becoming more competitive with the passing of each year, however we feel that our staff is dedicated to offering the families the caring and compassionate service that they have come to expect since 1911. Are merchandise and services guaranteed? What price range is affordable? What if I move and/or change funeral homes? What are the tax consequences, if any, to funding my arrangements? Will this benefit my loved ones and family in the future? Essentially, funeral planning is a two step process: (1) Making the pre-arrangements, and (2) Funding the pre-arrangements. Why make the pre-arrangements? If you have ever made funeral arrangements after the death of a loved one, you already know the answer to that question. Funeral planning is difficult and emotionally exhausting while struggling with grief and shock. With the help of our qualified staff, planning in advance gives you the ability to make informed, insightful decisions that will spare your loved ones from this task. Why fund the pre-arrangements? Pre-funding may protect your family from the burden of funeral expenses. There are funding options and payment plans to meet almost any situation. When funding the pre-arrangement, your funeral contract will identify the person selling the contract and the person purchasing the contract. The contract will contain complete descriptions and current prices of merchandise and services that are purchased. Most, if not all, of the prices will be "frozen" or "guaranteed". Funeral merchandise selections include, but not limited to, are: casket and/or urn, outer burial container, flowers, and occasionally, clothing. Funeral service selections include, but not limited to, are: professional services of funeral director and staff, transportation, embalming and other preperations, use of facilities for visitation, ceremony, funeral vehicles, music, opening and closing of grave, and pastoral services. Who cares what happens to me when I depart. Maybe you don't care, but your family or loved one will have to. Decisions made by them may be influenced by grief, not by reasonable thinking. I don't want to think about it. No one wants to think about their own death. You don't want to think about a car accident or your home being destroyed either, but you probably have insurance on the car and home. My insurance will take care of it. Insurance does not tell your loved ones how to plan your funeral, which funeral home to use, or how much to spend. Often, the policy coverage has been canceled or has expired. I can't afford it. With the different payment plans, it may be more affordable than you think. My friend, attorney, or family will arrange everything. Many decisions must be made, possibly by someone that you don't trust or agree with. My decisions are noted in my will. Do you even have a will? If so, does someone know where it is? Most wills are not read until after the funeral has taken place. I don't know what funeral home to choose, I may be moving in the future. Most funeral plans are transferable, allowing your plans to move with you. The family knows what I want. Discussions about death with your family are rarely taken seriously and often avoided or "put off". The government will take care of it, I'm a veteran. The government will take care of the expenses if you ARE on active duty at time of death. Social Security pays for my funeral. Social Security only pays a "survivor benefit" of $255.00 if there is an eligible spouse or dependent child. The staff at Rawlings Funeral Home welcomes any questions you have. We want to be your source of information that will make your decisions as informed, intelligent, rational, and caring as possible. Make appointment with the Funeral Home by calling 865-453-5556. The funeral home will help coordinate arrangements with the cemetery. Some information to complete the State vital statistic requirements. Gather obituary information, including age, place of birth, cause of death, occupation, college degrees, memberships held, military service , outstanding work , list of survivors in immediate family. give time and place of services. The funeral home will normally write article and submit to newspapers (newspaper will accept picture and they will be returned intact). Consider special need of the household, such as cleaning , etc., which might be done by friends. You may call Social Security toll-free, 365 days a year, 24 hours a day. The number to use is 1-800-772-1213. Or to call locally (828)251-9941. To speak with a representative, call between the hours of 7:00am and 7:00pm on regular business days. At other times and on weekends and holidays, you may leave a message and they will call you back, in most cases, the next business day. Gravesites in national cemeteries cannot be reserved. Funeral directors or others making burial arrangements must apply at the time of death. Reservations made under previous programs are honored. The National Cemetery System normally does not conduct burials on weekends. A weekend caller, however, will be directed to on eof three strategically located VA cemetery offices that remain open during weekends to schedule burials at the cemetery of the caller's choice during the following week.